Physics To Go is an online monthly mini-magazine and a collection of more than 1000 websites with physics images, activites, and info. You can view an archived version of our May 16, 2009 issue, Space tethers/nanotubes below, or click to see our September 1, 2013 issue, Two views of Earth. 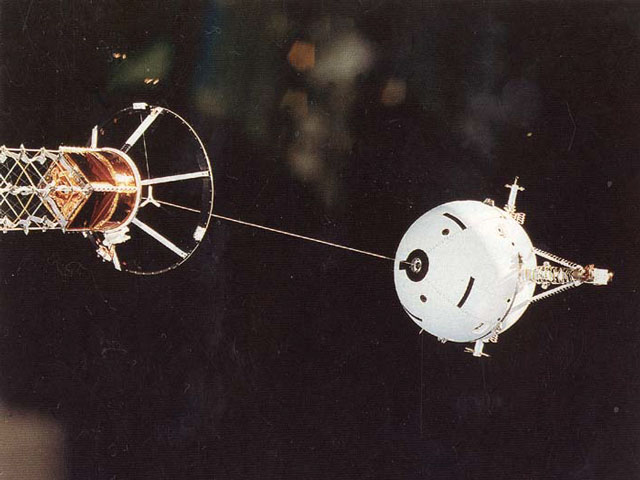 The white spherical object is a 1.6 m diameter satellite, part of the Tethered Satellite System-1, launched in 1992 from a boom extending out from the bay of the Space Shuttle. The mission was to generate electricity by dragging the conducting wire through the magnetic field of Earth. -- To learn more, visit APOD's A Tether in Space. -- To find out how the test turned out, see The Space Tether Experiment. -- Clearly a light, strong material is needed for the tether. Check out Nanotubes and Other Forms of Carbon from the University of Wisconsin; the videos there show the forms of carbon: graphite, graphene, diamond, fullerene, and nanotube. For each of these forms, you'll see a model that shows how the carbon atoms fit together. 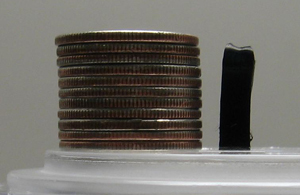 The photo shows a bundle of nanotubes grown by University of Cincinnati engineers. To see how these nanotubes are spun into thread, and used as a cell phone antenna, see the second video in Spinning Carbon Nanotubes. 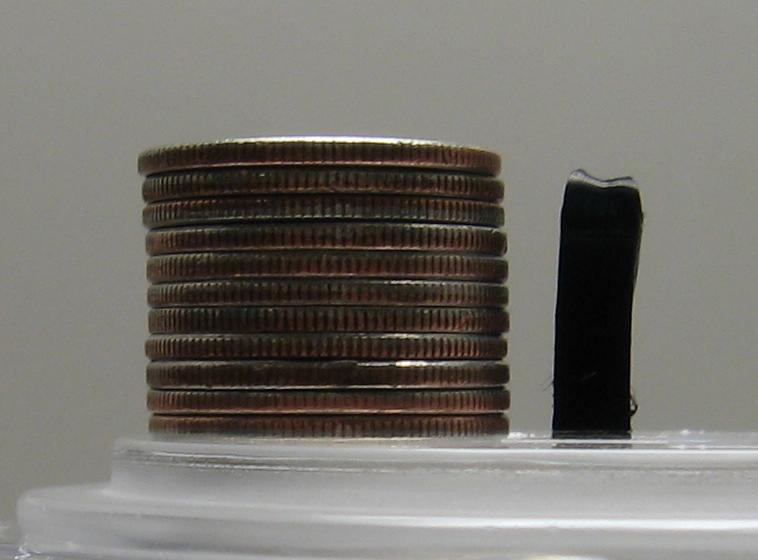 For more on how the nanotubes were grown, see this National Science Foundation press release. Check out A Nanotube Space Elevator for a video, narrated by Neil deGrasse Tyson, describing how nanotubes might be used to construct a tether for a space elevator. To see an artist's conception, but without the tether, visit NASA's Space Elevator.